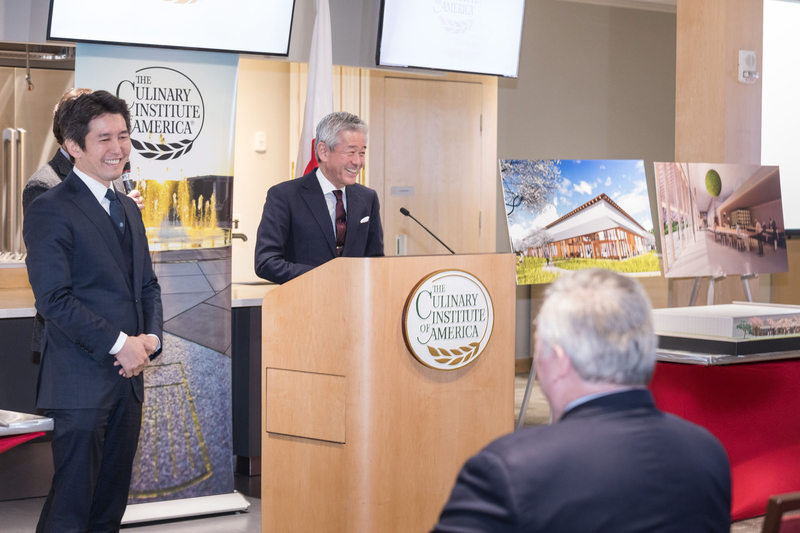 Hyde Park, NY – The Culinary Institute of America welcomed Japanese sake producer Asahi Shuzo to the Hudson Valley at an event on the college’s campus on April 10. 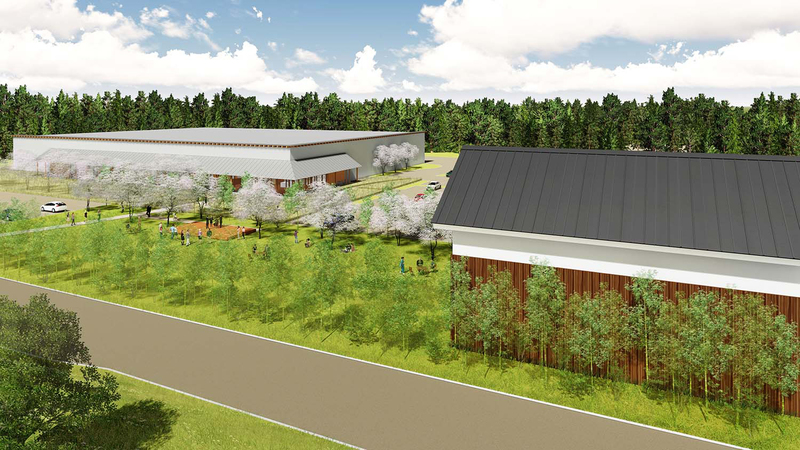 Asahi Shuzo—maker of Dassai super premium sake—will build its first U.S. brewery in Hyde Park, NY, becoming the first sake producer from Japan to establish a facility on the East Coast. The company selected the location because of its proximity to the CIA. The two organizations have also announced a collaboration to further the education and awareness of sake in the United States. 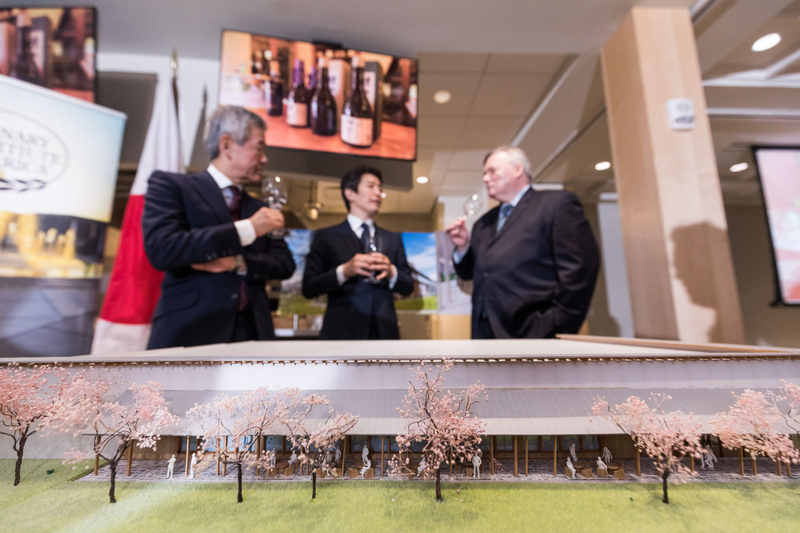 As part of the partnership, the CIA—with the support of Asahi—will be developing curriculum, certification programs, workshops, and special events and tastings. Sake plays an important role in Japanese society and these new unique education programs around sake will further the education of Japanese cuisine and culture for CIA students, food enthusiasts, food industry professionals, and other visitors to the Hudson Valley. Construction of the brewery—at the corner of Route 9 and St. Andrews Road—is expected to begin this spring, with an anticipated opening in 2019. Its 52,500 square feet includes a retail and tasting space, and it will offer public tours. “The CIA has made Hyde Park the culinary capital of the United States, and we look forward to contributing to that reputation,” said Asahi Shuzo Chairman Hiroshi Sakurai, who will be making the Hudson Valley his new home so he can personally oversee production and ensure quality at the new brewery. In addition to Chairman Sakurai and several other company employees who will relocate from Japan, the facility will create at least 32 new local jobs. At full capacity, the brewery will produce 332,000 gallons of sake a year. Asahi Shuzo is investing more than $28 million in the project.